We don't necessarily have a minimum or maximum job cost, but we typically work with clients on creative solutions for their home design or renovation projects within this range. Best of Houzz 2017, 2016, 2015, 2014, & 2013! 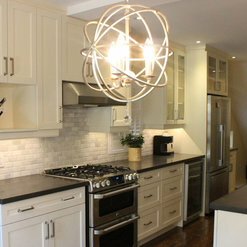 Best of Houzz Award Winner for 2018, 2017, 2016, 2015, 2014, 2013 Full service Toronto renovation company for custom design & build renovation projects such as full home renovations, kitchens, bathrooms, built-in wall units, basements, woodworking and cabinetry projects to name a few. Our carpenters, GCs, installers, and design consultants are here at your service to meet your contractor needs for either your home or commercial renovation. We do both major & minor renovations including structural projects such as home additions and interior wall removal projects including replacing load bearing walls with engineered beams to meet or exceed all city building codes. Come to our Oakville Showroom on Speers Road today! I work as a designer in Toronto. 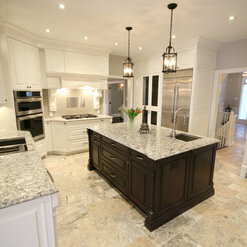 I hired Toronto Custom Concepts to manage the manufacturing and installation of some custom cabinetry for one of my clients. It was a smaller project but required the coordination of a number of different trades over a short period of time. The TCC team did an outstanding job. 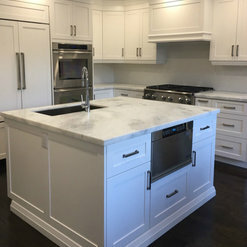 My client was very happy with the resulting work and within a year she and I rehired TCC for another custom cabinetry installation. 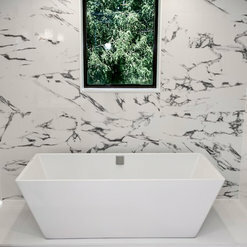 When new design projects come up and my clients ask for a referral, Toronto Custom Concepts is top of mind. TCC has been a pleasure to work with. Friendly staff, extremely knowledgeable, and they met all requested time frames for project completion. To top it off, the 3D renderings presented for the project really helped to bring the vision to life. I intend on pursuing TCC for another upcoming renovation planned for mid-2019. 5* --> Great work guys! Dave and his entire staff are incredibly detailed and make my aspect of supplying plumbing and tile very easy. Our over 6 year relationship has blossomed into completing over 50 projects and leaving each client happy! Keep up the great work and looking forward to a strong 2019! Dave's team renovated our guest room which had a horribly loud floor. Anyone walking on it would wake up the household. A previous contractor tried to fix it with screws which made no change. 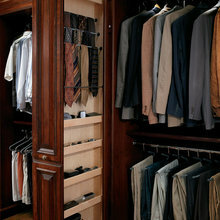 Toronto Custom Concepts completely removed the floor boards and fixed it professionally. Finally we can happily host guests without being woken up. 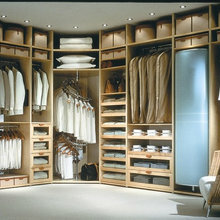 High quality custom kitchen and custom bedroom closet. We could not be happier with the final results. Dave quoted the work in a very detailed manner so it was easy to change out or upgrade items as we went along. The staff were all beyond great to work with. I would not hesitate to use them again, and would definitely recommend. 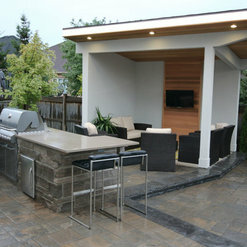 Never have I worked with a company who is more personable and knowledgeable like Toronto Custom Concepts. 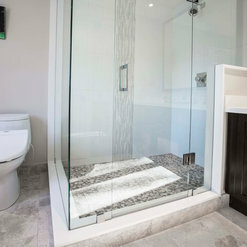 They have a future vision attitude with an extremely talented team that enables you to create your renovation dream into a reality, free of stress, on time and with the utmost professionalism. My wife and I are not what I would call the easiest clients to deal with as we are very opinionated and picky. TCC not only provided great customer service and high quality products/craftsmanship but they also delivered on every precise detail that our design called out for such as custom leaded glass windows in our kitchen cabinets. If you are looking for a contactor that is focused on high quality installation, TCC is a great choice. 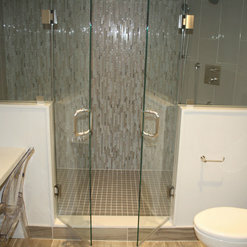 My Toronto condo was renovated top to bottom by Toronto Custom Concepts. Dave and Graham were fabulous to work with, and the end product exceeds my expectations. I live in Edmonton, so the whole project was done long distance. I put a lot of trust in TCC and it was warranted. The project was completed on time, without any complaints by the condo employees or neighbors, and the finishings are first class. 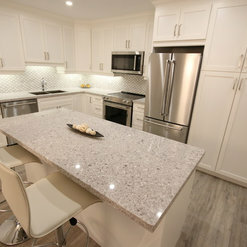 They ensured I received just what I wanted, and also provided great advice and ideas to make it an even better space. I can’t say enough good things about Toronto Custom Concepts. 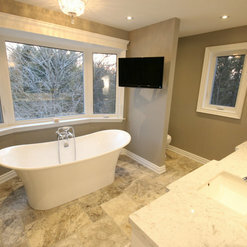 We hired Toronto Custom Concepts to do a full renovation of our kitchen and a three piece bathroom. The entire project took 3 months. We took a leap of faith going into this renovation – as most we had probably watched one too many renovation shows on tv and had heard of too many renos gone wrong on the news. From start to finish Dave, Scott, Graham and their entire team guided us with clear and timely communication. They took care of our home with the same care they do their own and that was very much appreciated. Their entire crew was wonderful to work with – always happy to answer any questions we had. It was definitely apparent that they all truly enjoy the work that they do and it showed in their workmanship and the final product. This renovation has been a positive experience and we would definitely turn to them for any future projects. I'm really glad I used TCC to make built-in cabinets for my condo. They are very professional and friendly, the work was done as planned, with no delays, or unexpected costs. The cabinets are beautiful. I highly recommend TCC, and plan to use them for future projects. 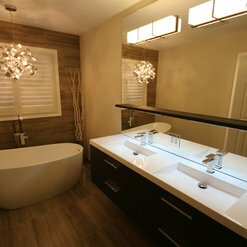 We hired Toronto Custom Concepts to renovate our basement. We were very happy with the workmanship and the level of service throughout the project. I would recommend them and would use them again for future projects. 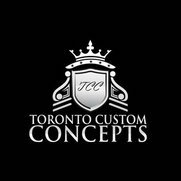 everyone at Toronto Custom Concepts are professional and friendly. The project was completed on time as promised. 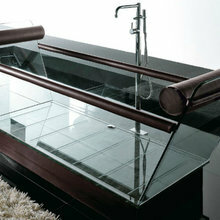 The qualities and workmanship are outstanding! I absolutely love my basement now! The end results are better than what I have in mind. Everything right down to the little details are perfect. I have complete trust in their works and would definitely hire them again. From the start to completion, the project went smoothly which is rare in home renovations. 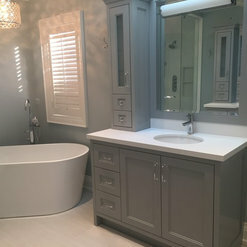 I cannot express enough how happy I am with Toronto Custom Concepts and would recommend this company to anyone who wants a worry free project. Commented: what paint colour is on the walls?Hi, This is revere pewter. Commented: Save space?It really depends on how many hangers you can squeeze into the same space these pull out racks use. This is really based upon the individual. Commented: Where can we purchase the tiles in the backsplash!Hi Marlene, These tiles can be purchased at Saltillo Tile in Toronto. Thank you.